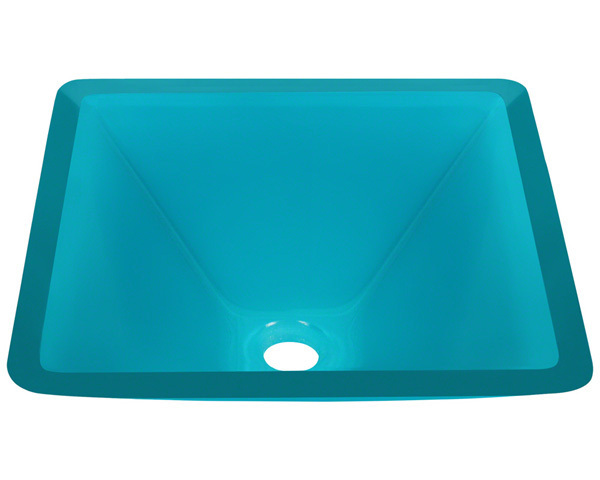 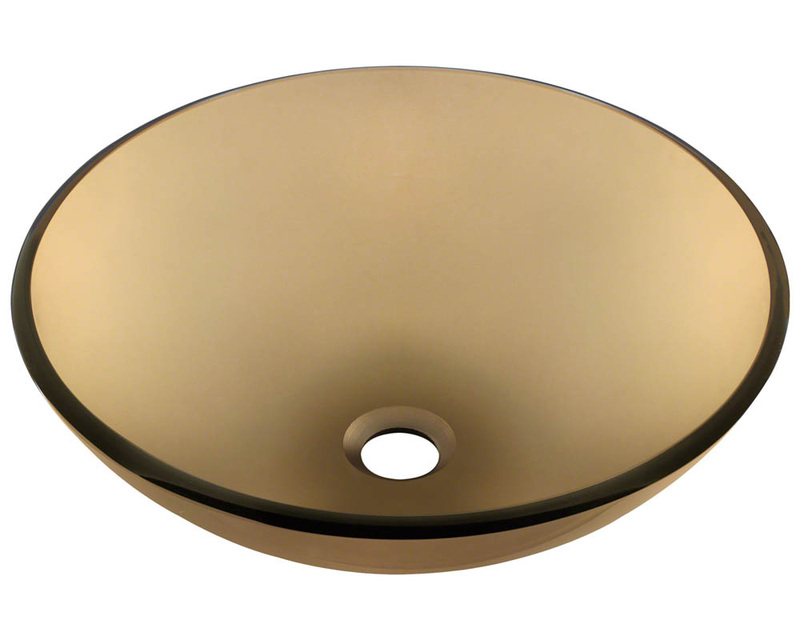 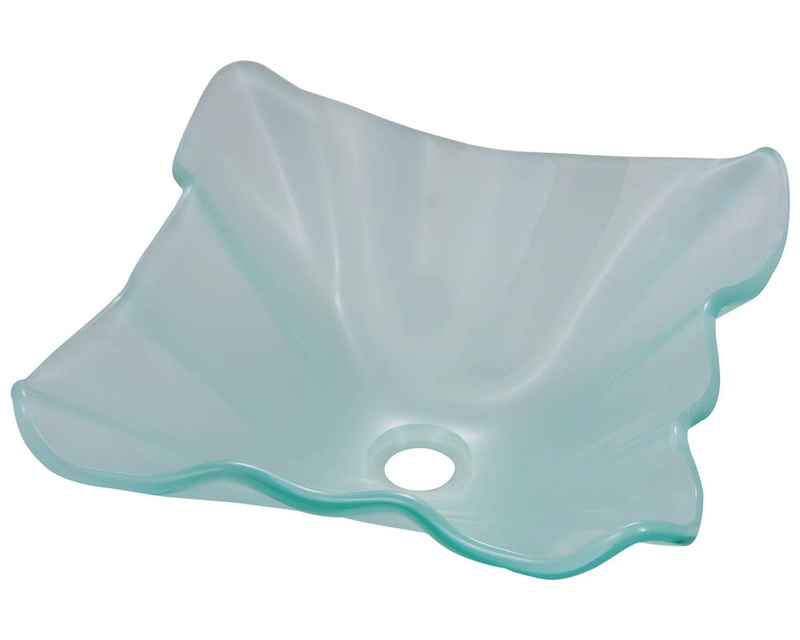 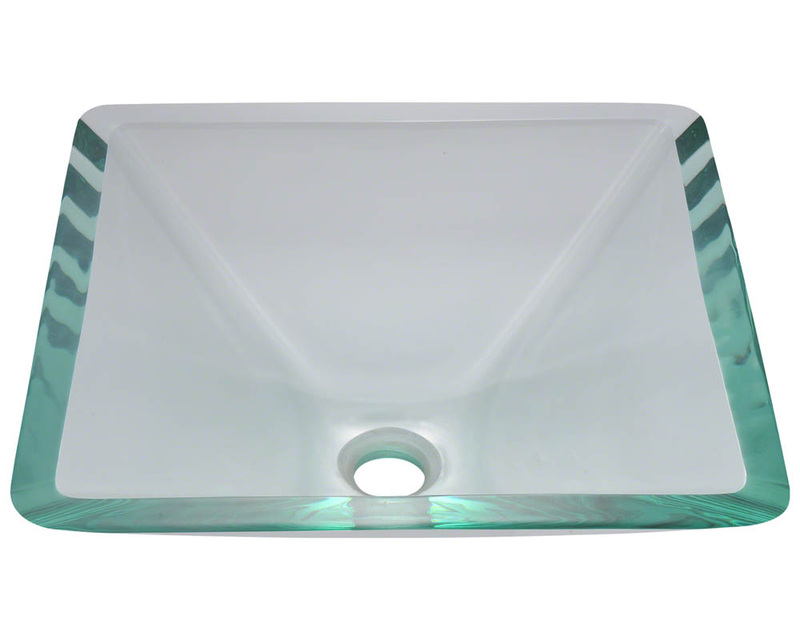 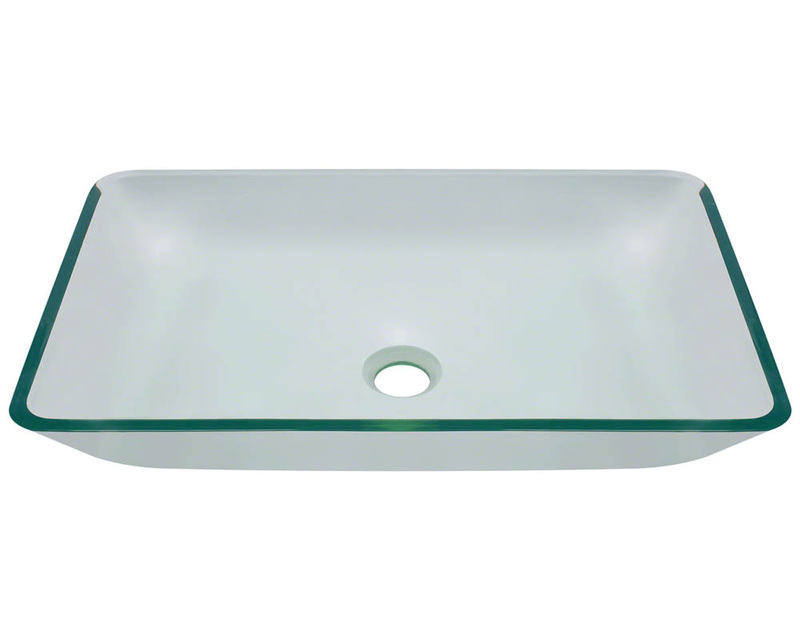 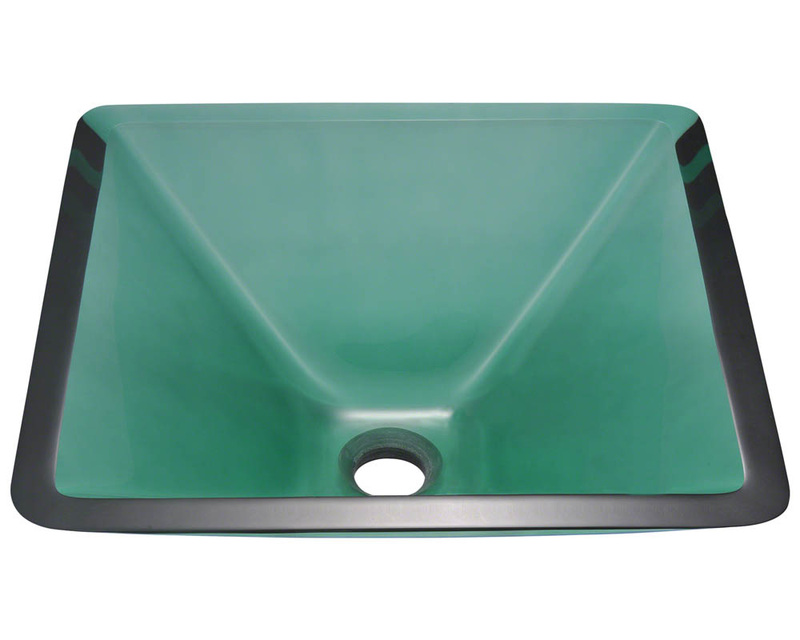 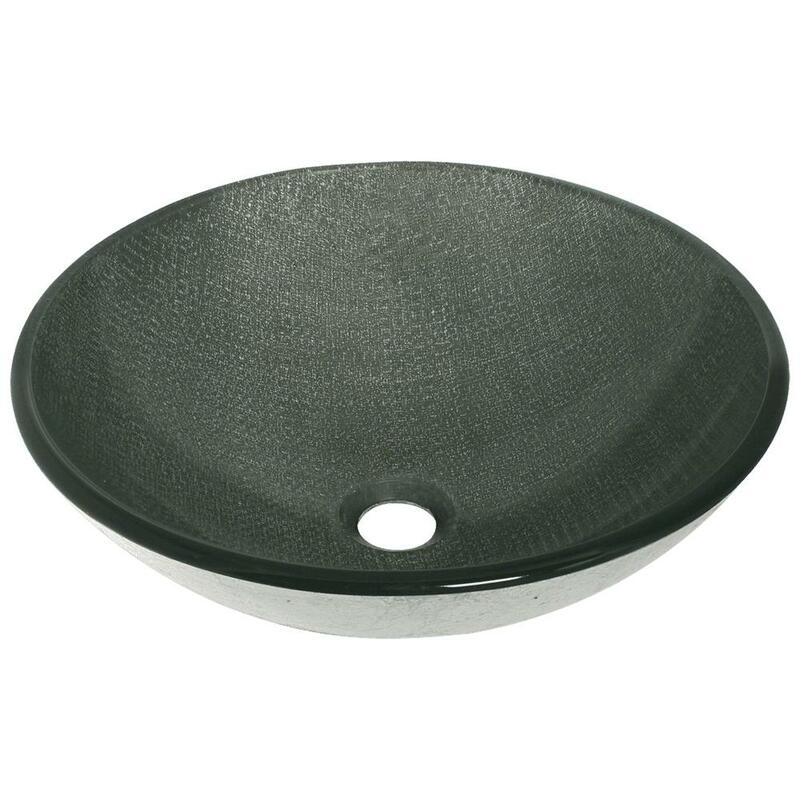 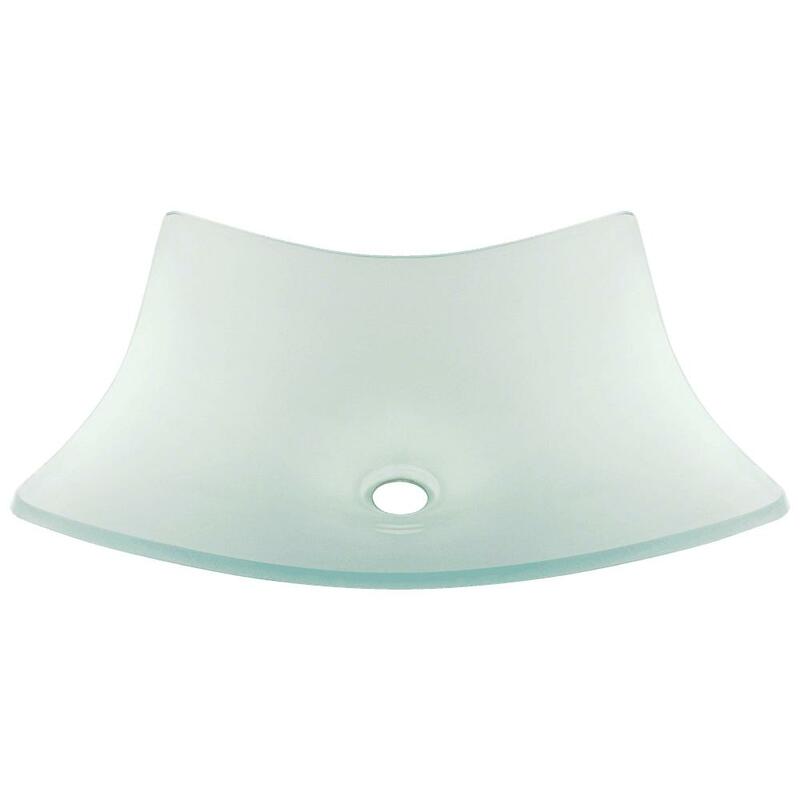 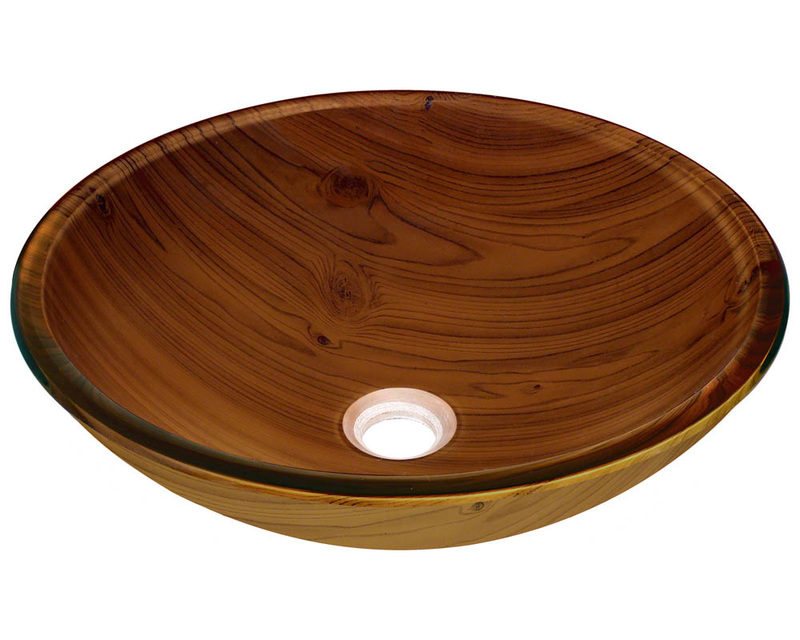 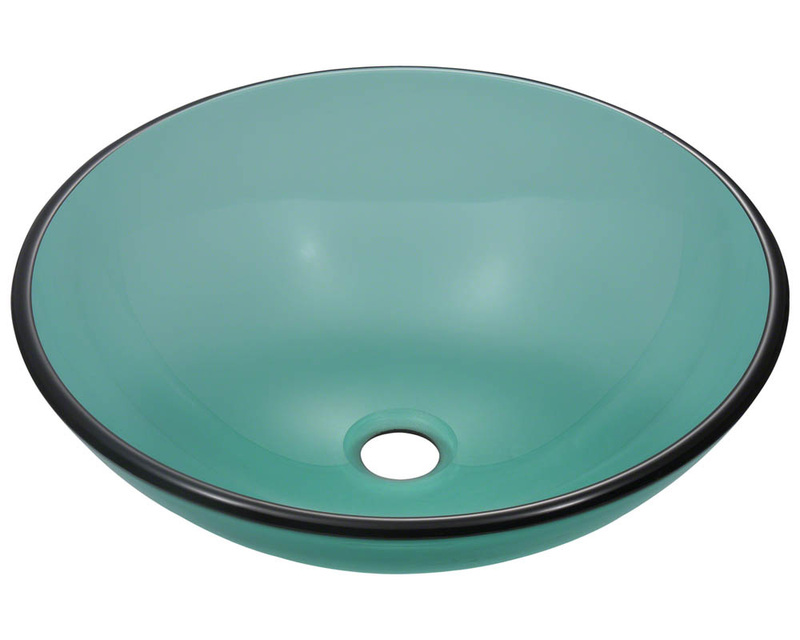 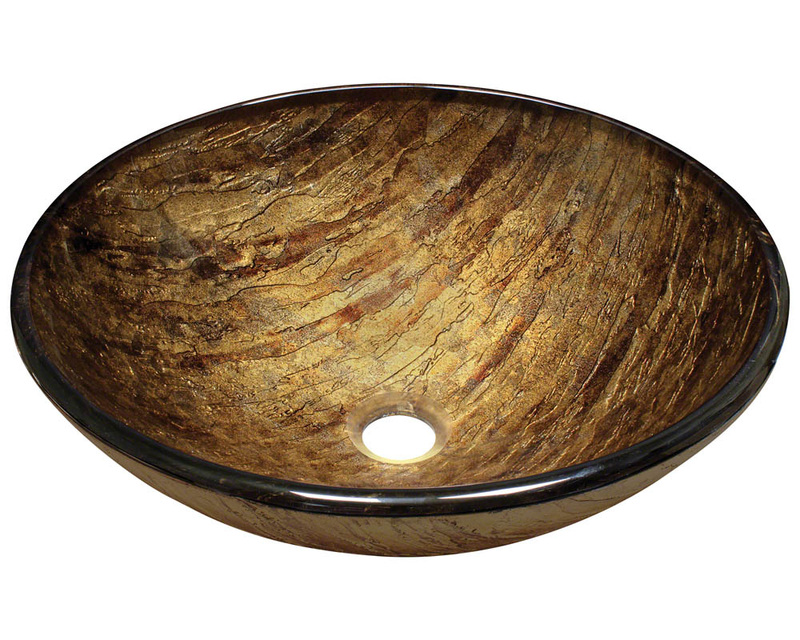 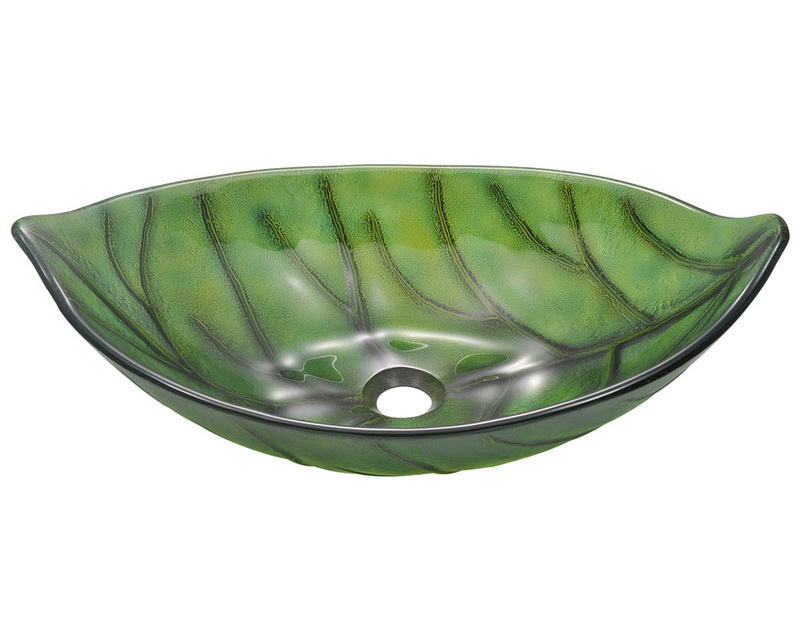 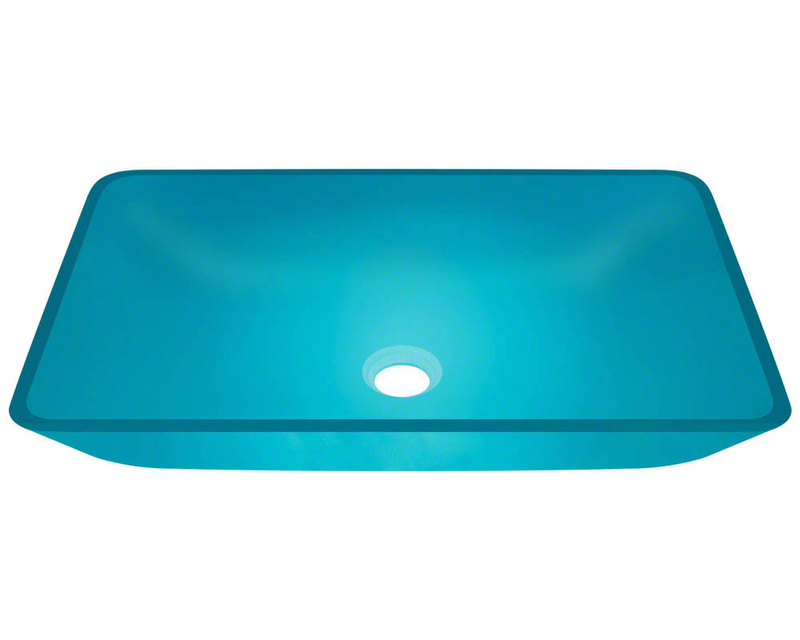 Tempered Glass - We use only tempered glass for our glass vessel sinks. 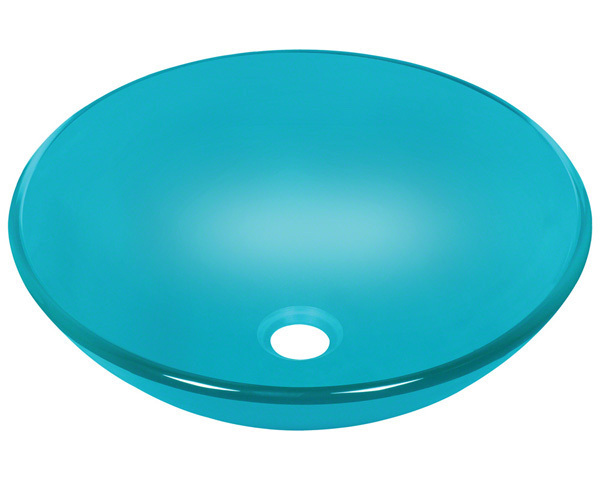 Tempered glass is processed by controlled thermal or chemical treatments to increase its strength. 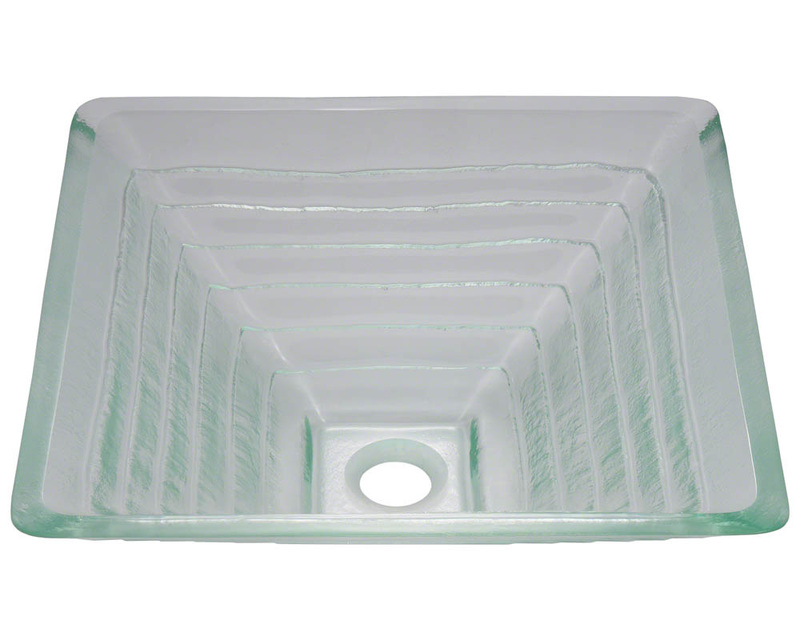 As a safety feature, tempered glass crumbles into small granular chunks instead of jagged shards if broken. 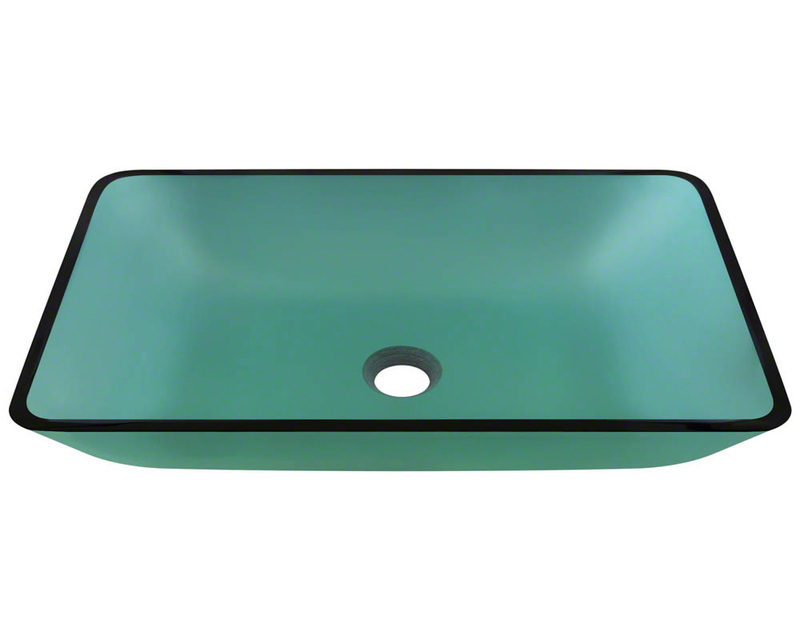 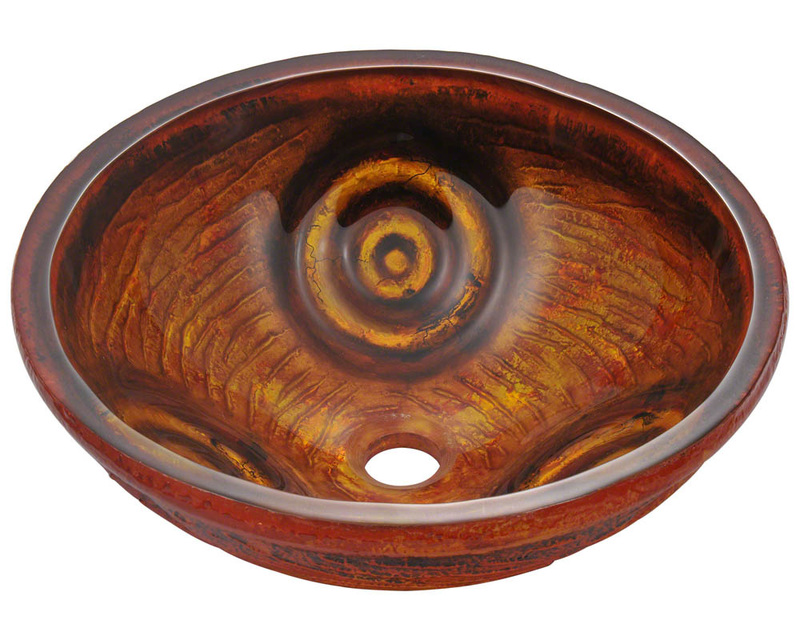 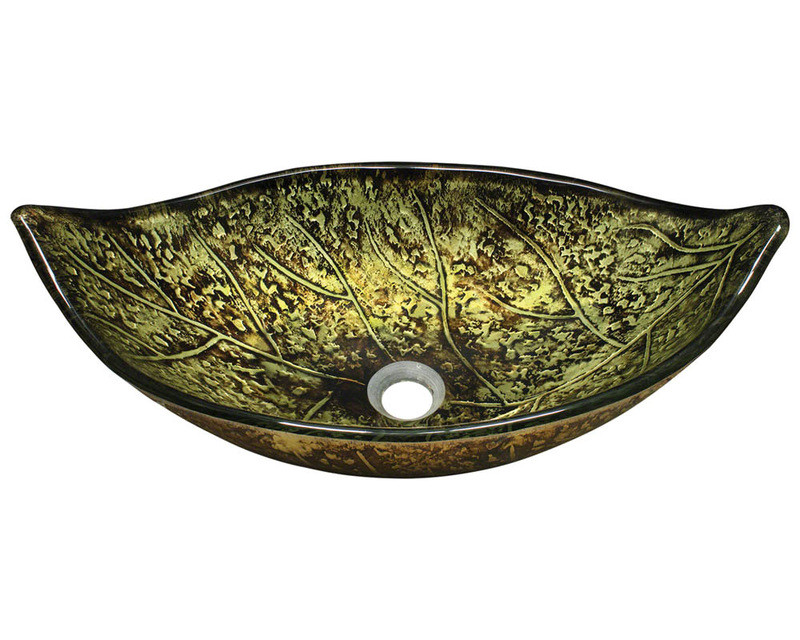 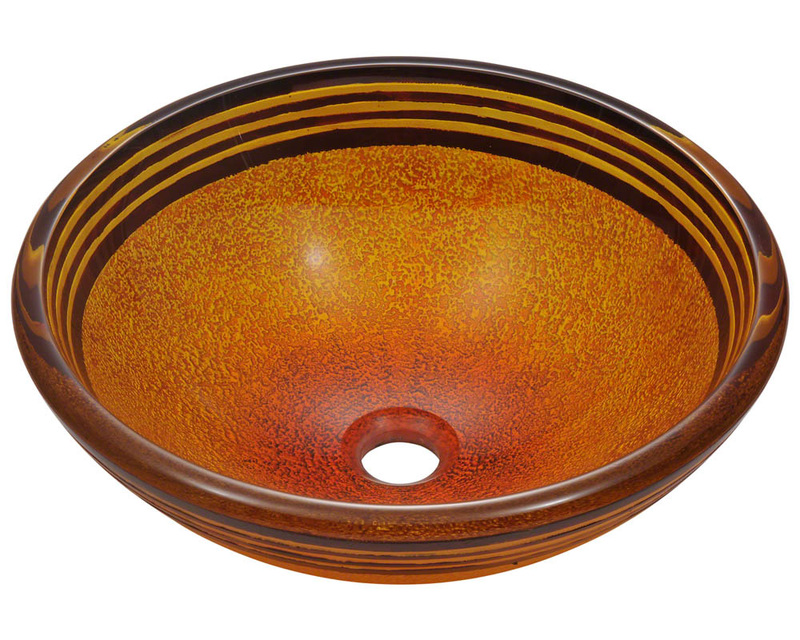 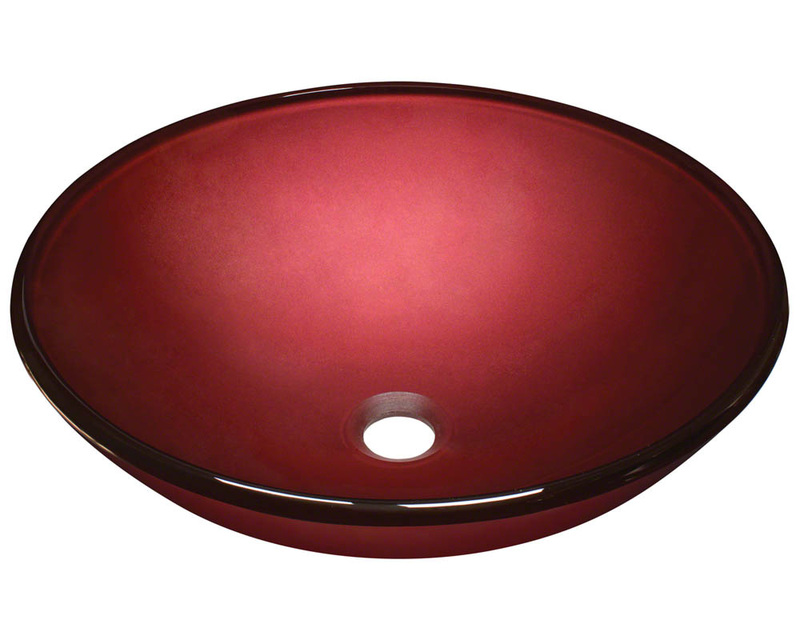 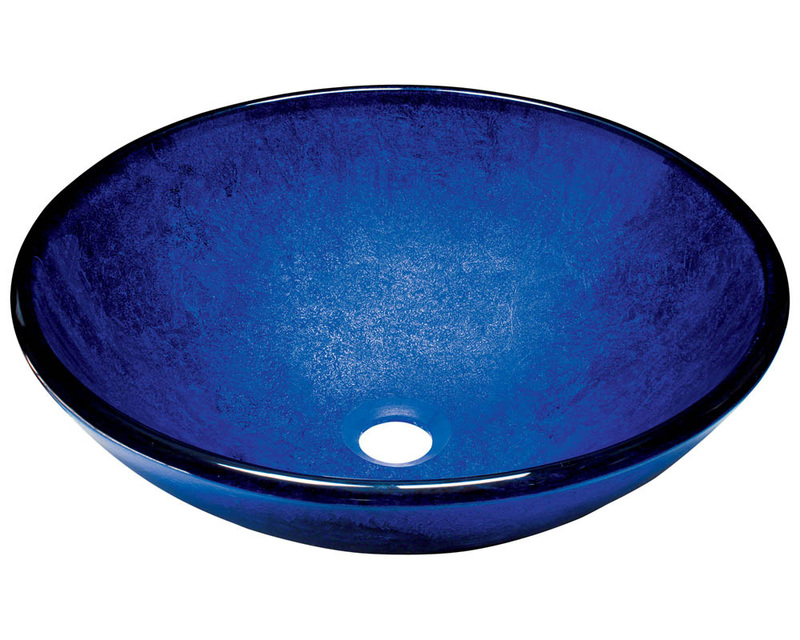 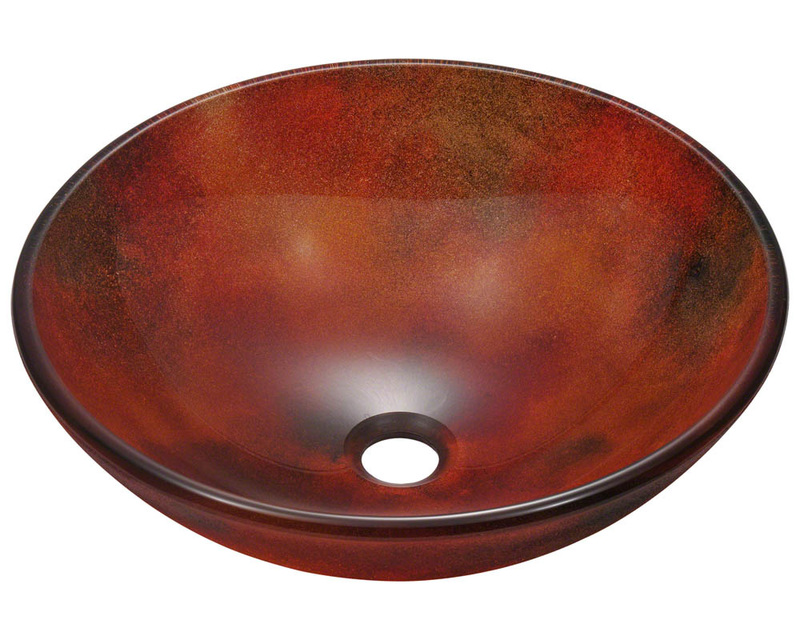 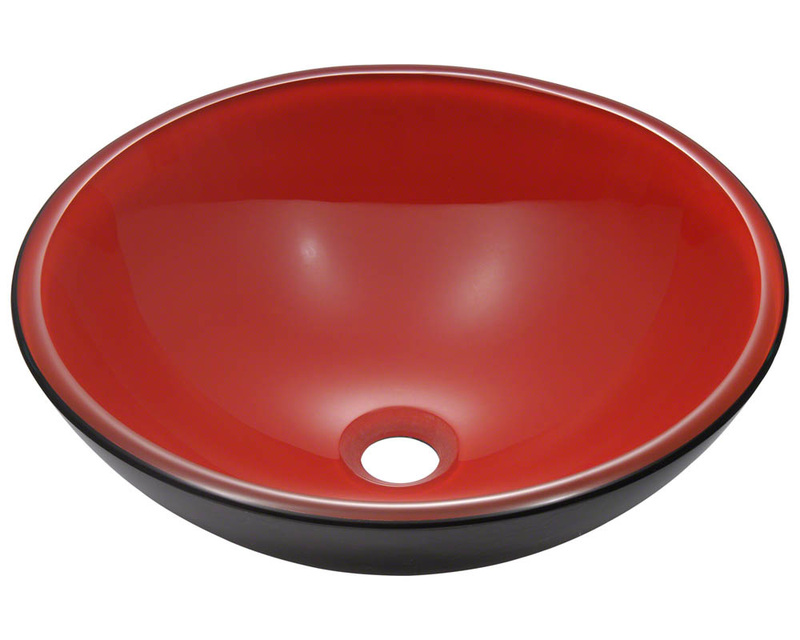 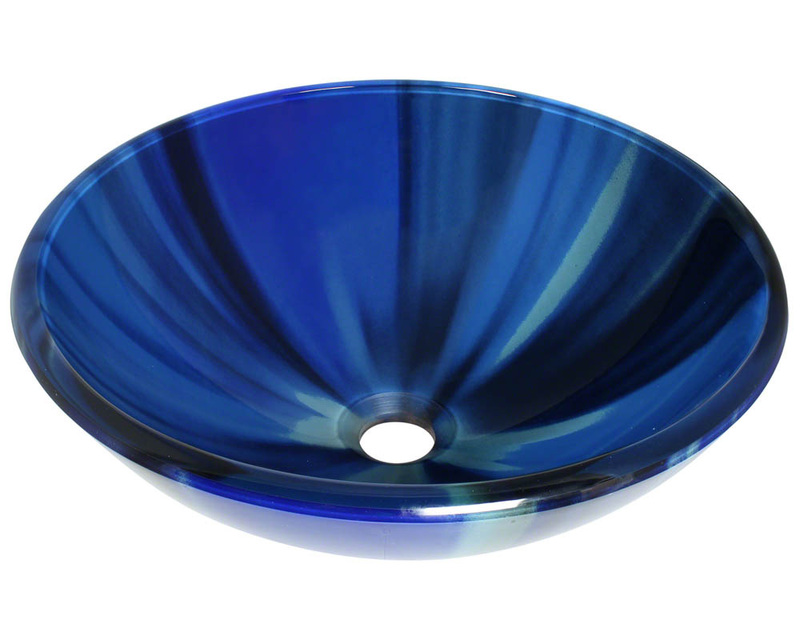 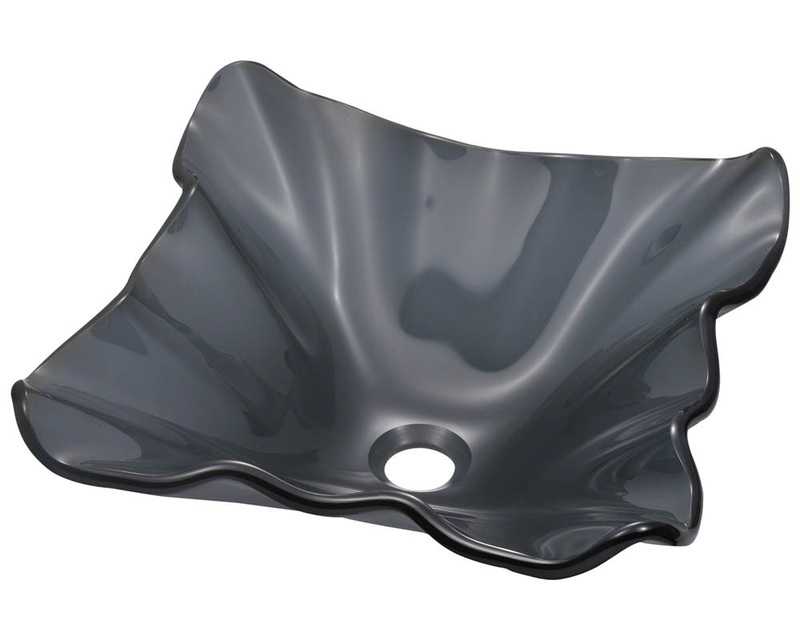 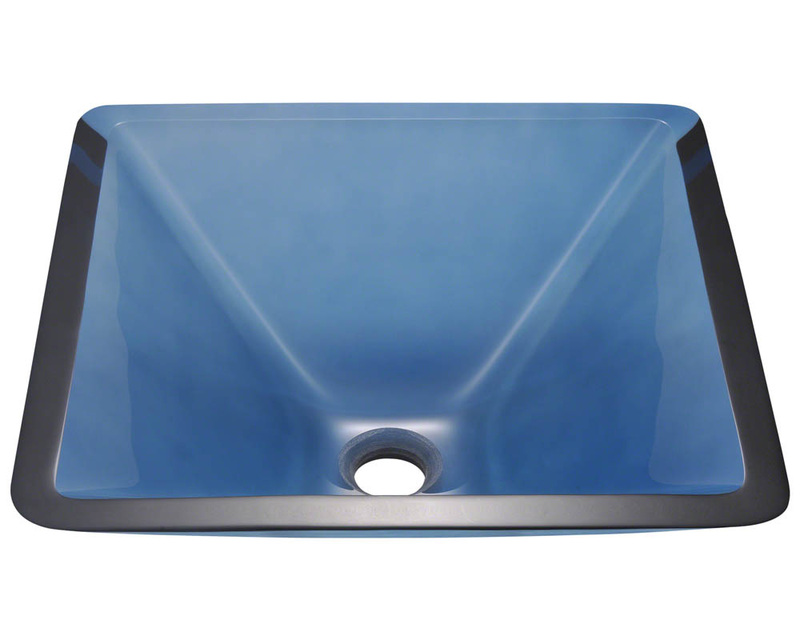 Our glass sinks can handle higher temperatures than normal glass and maintenance is very low. 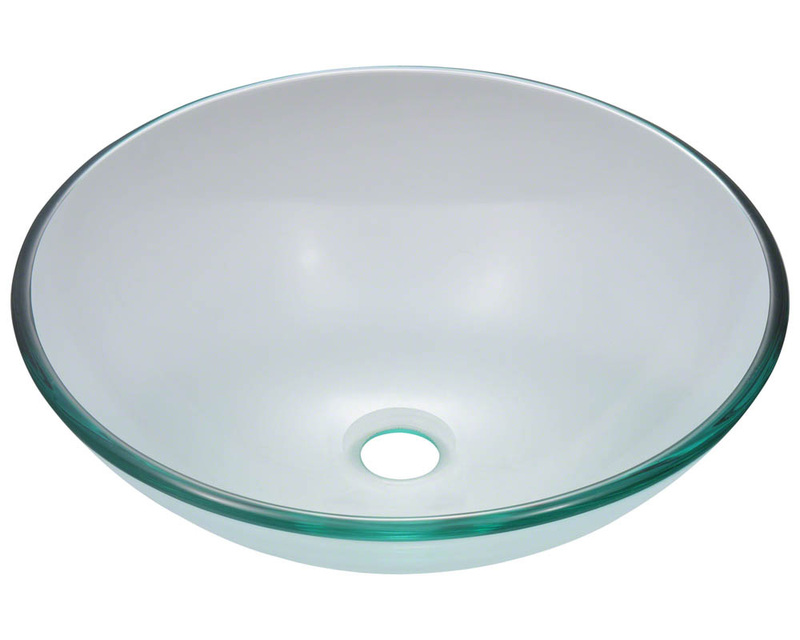 The glass is non-porous and will not absorb odor or stains, making it very sanitary. 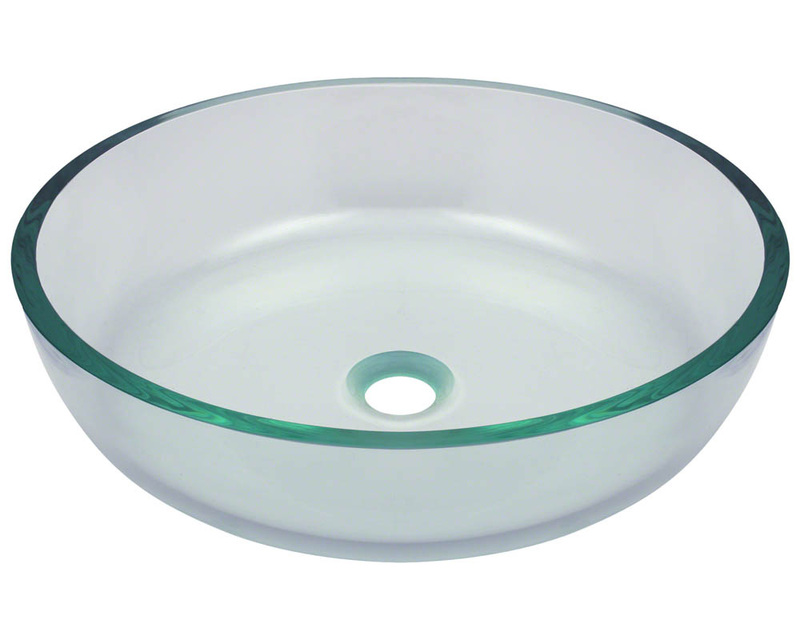 Frosted - Frosting glass occurs after the glass bowl is created. 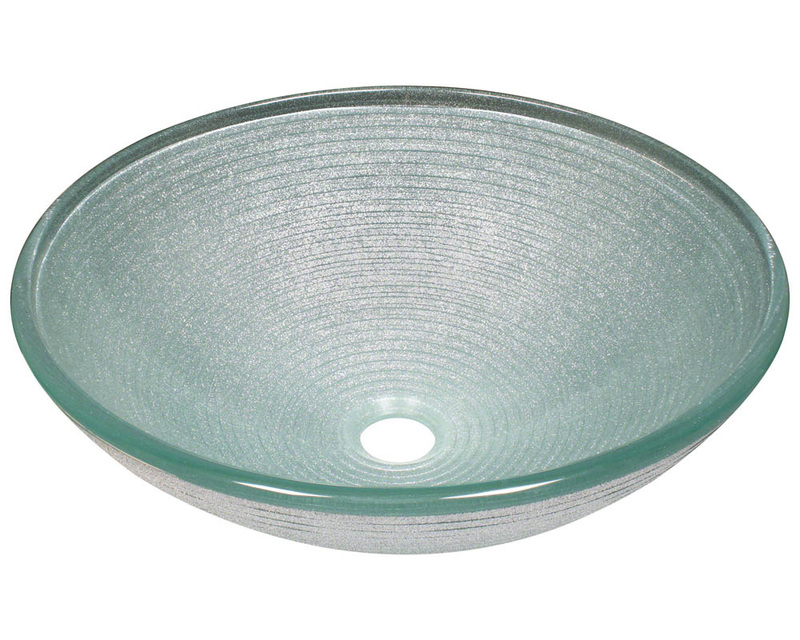 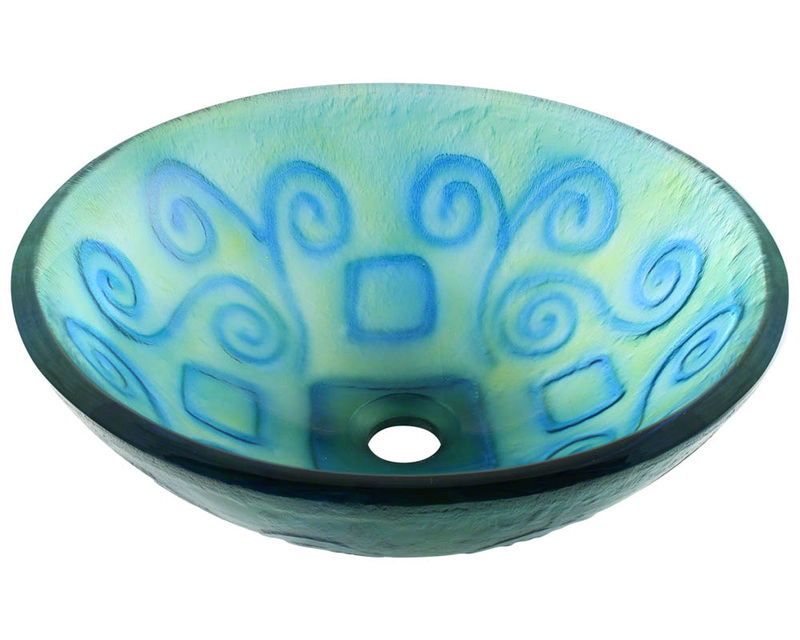 The glass is sandblasted until it has an opaque appearance. 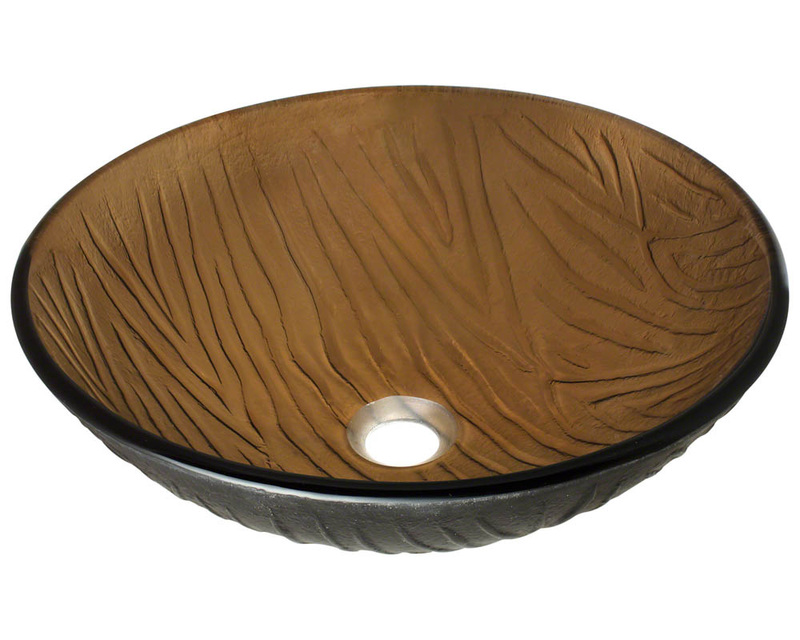 Textured - For a textured sink, the glass is heated to extremely high temperatures to create patterns and textures onto the glass. 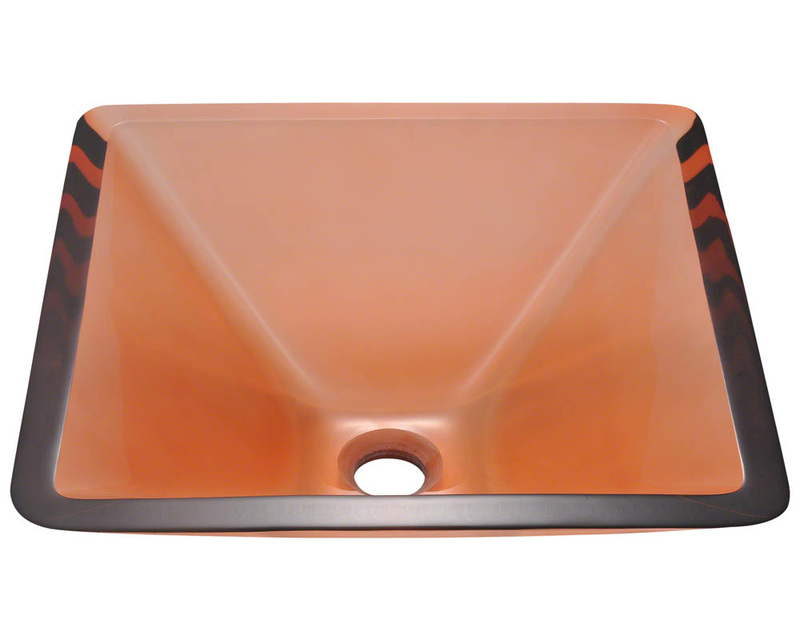 It is then molded to attain the desired shape and pattern. 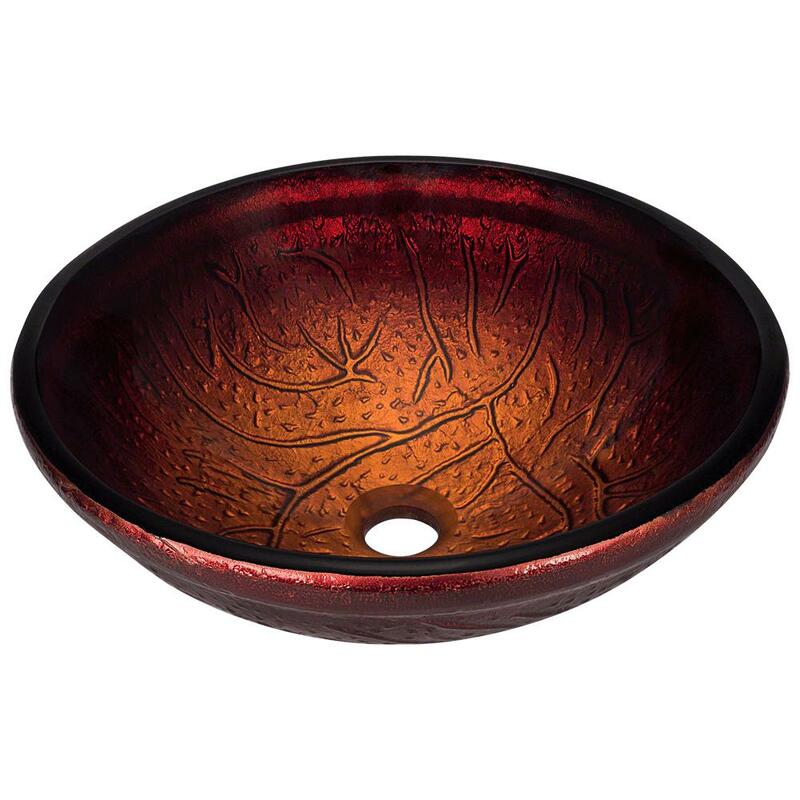 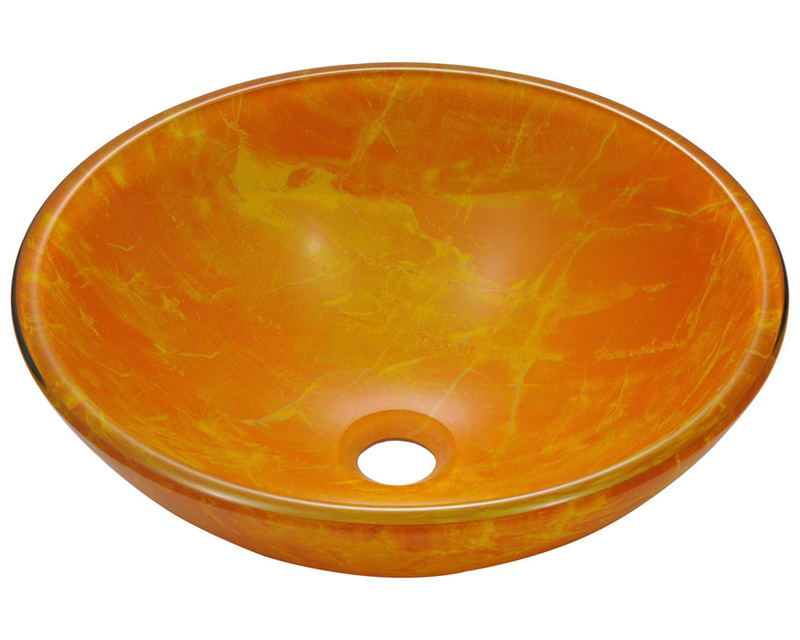 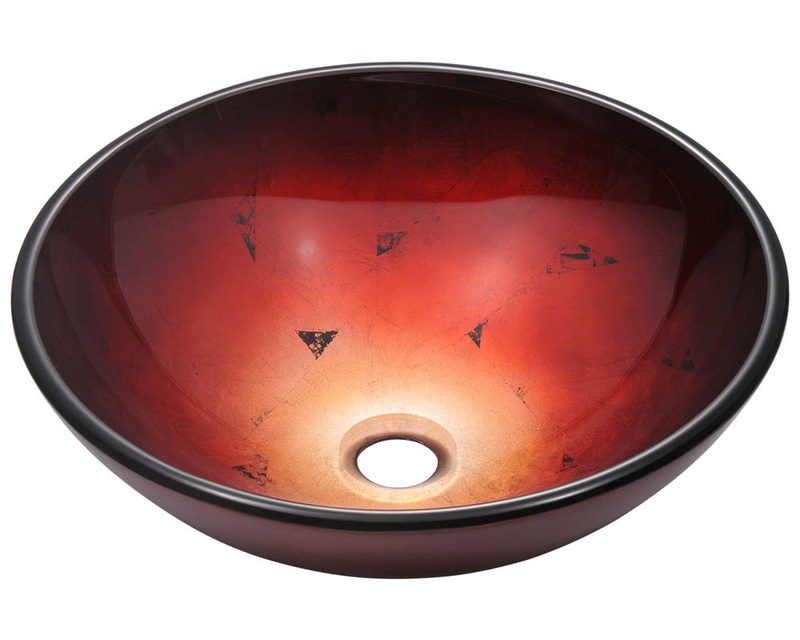 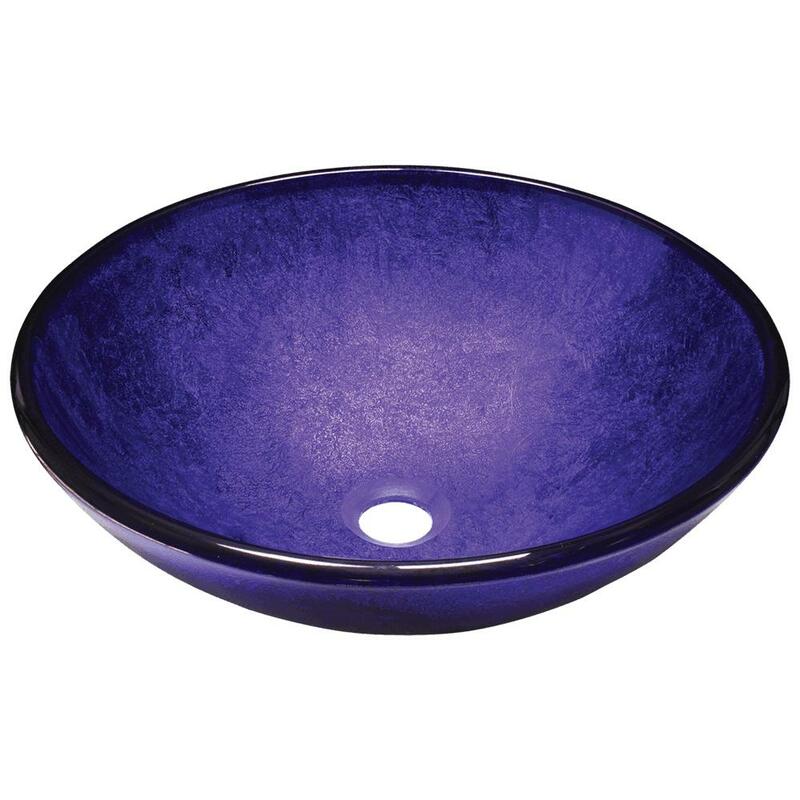 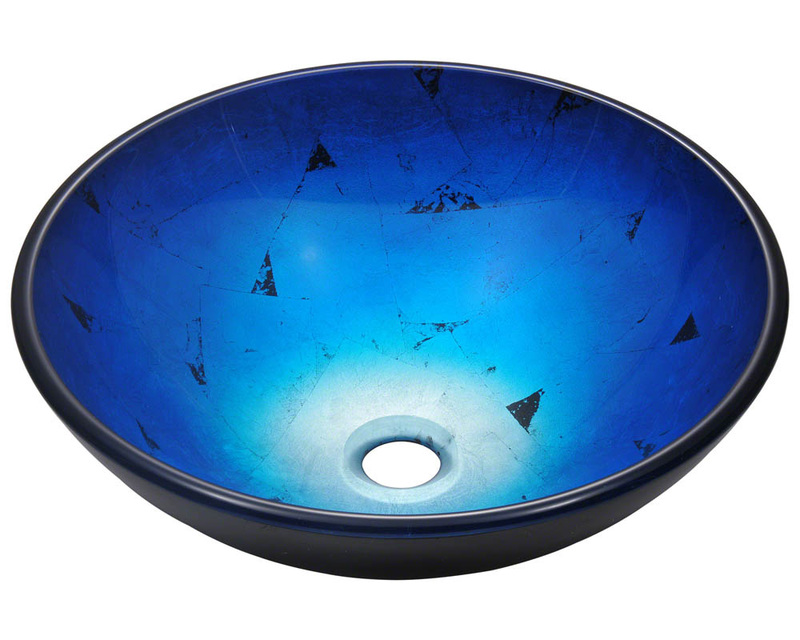 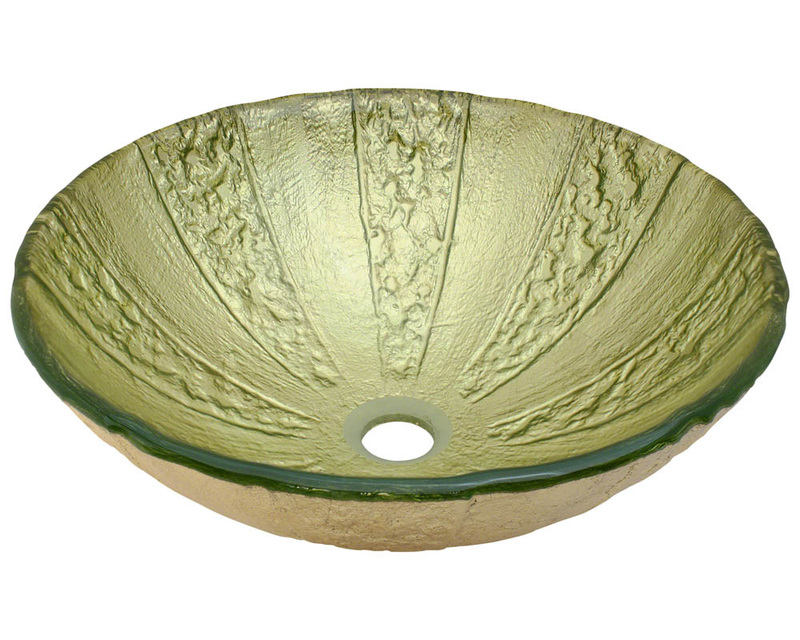 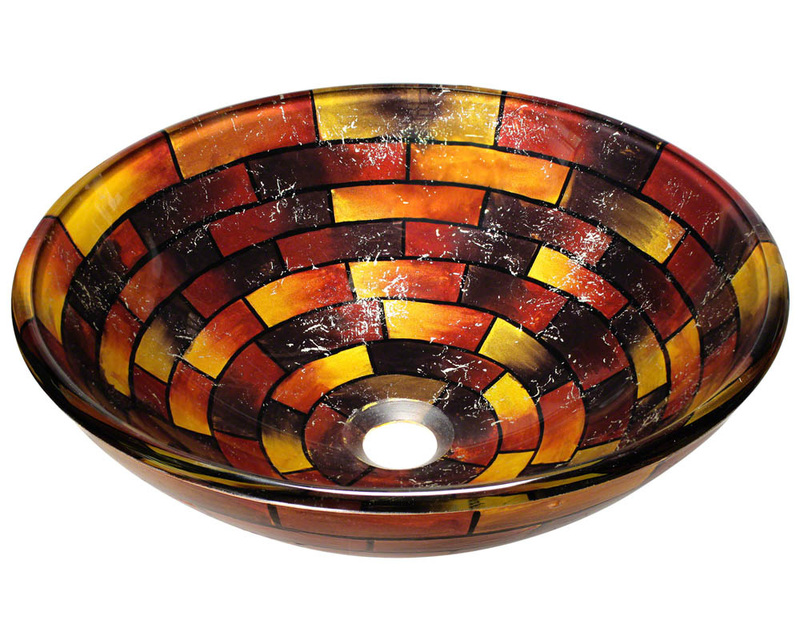 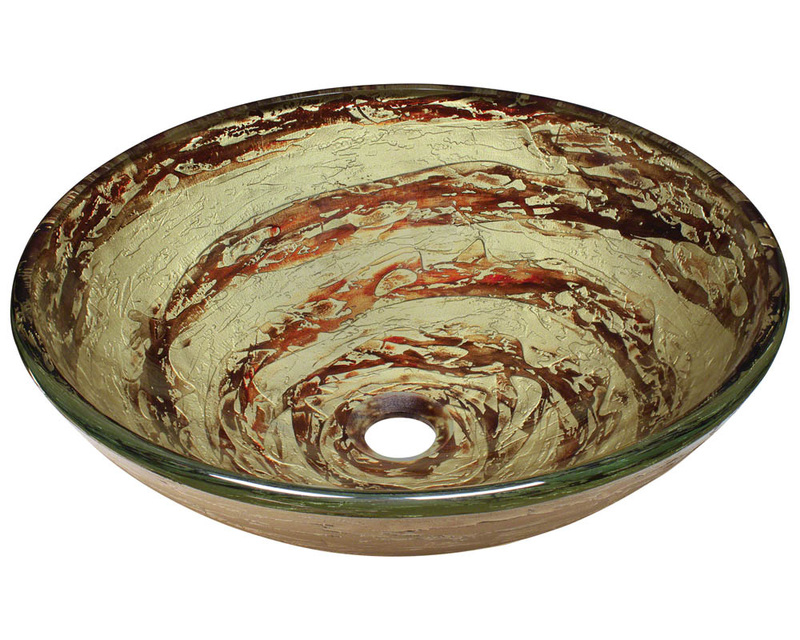 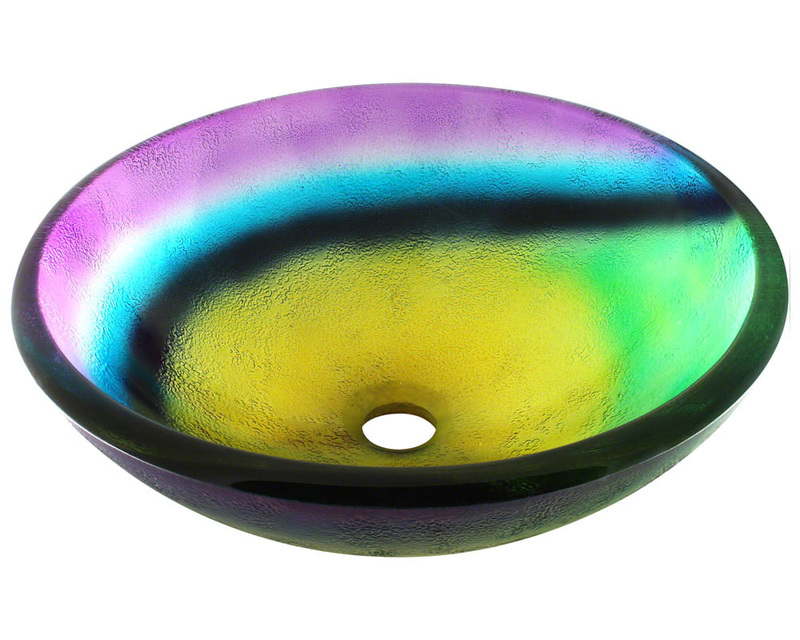 Colored - Colored glass is achieved by adding metal oxides to the powdered glass mixture before it is melted and created into a sink. 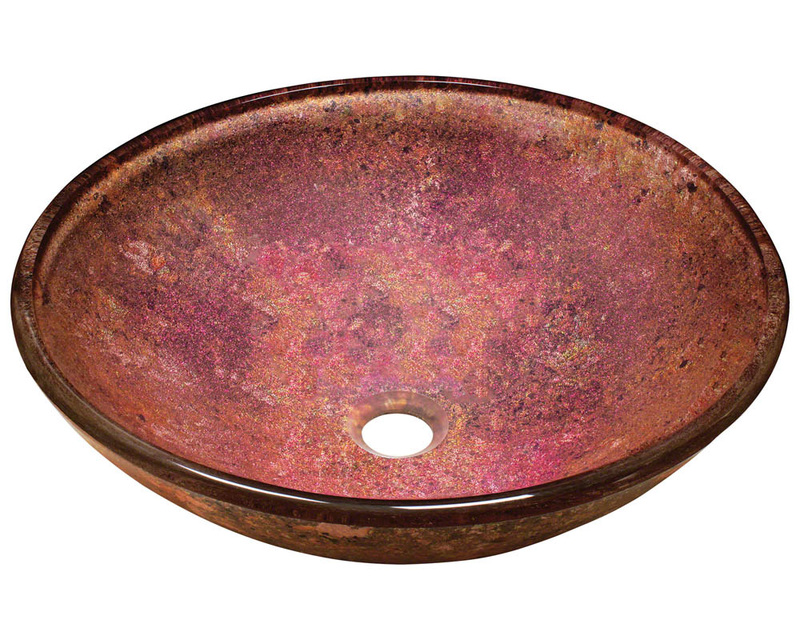 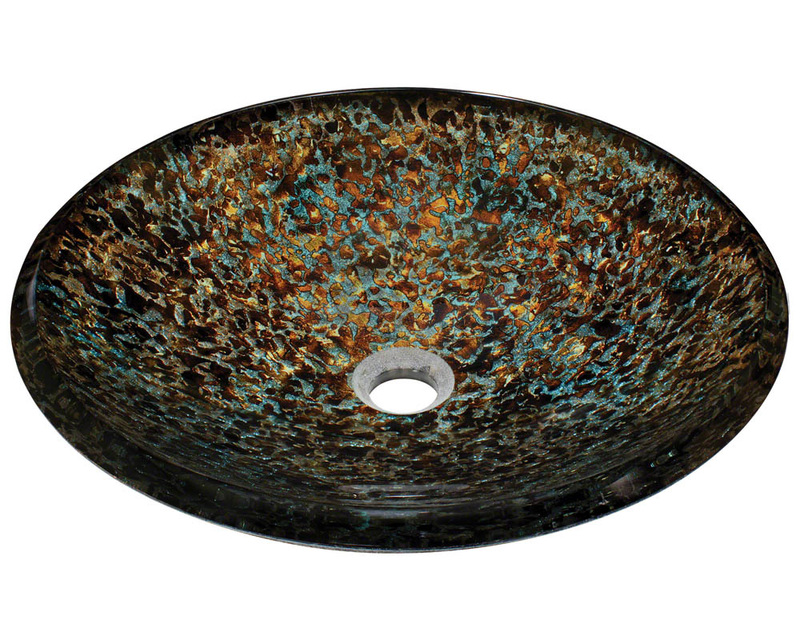 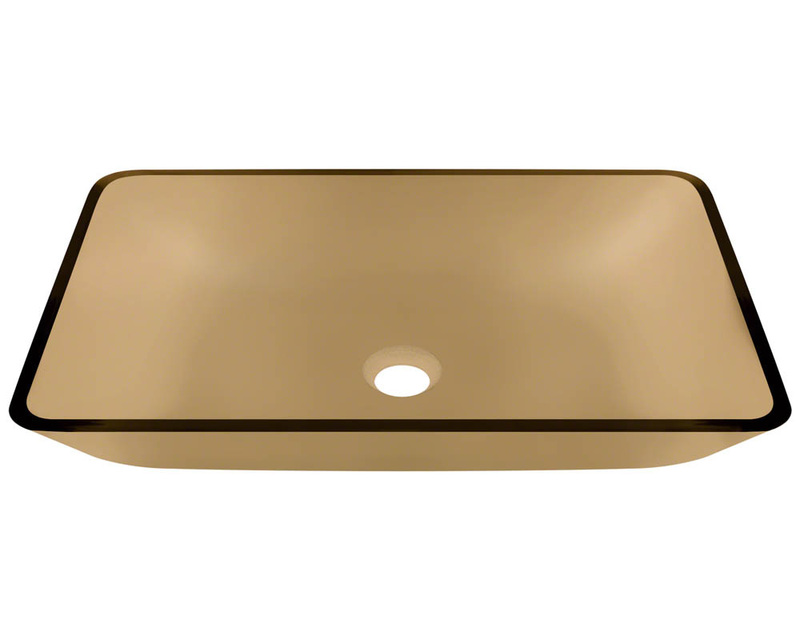 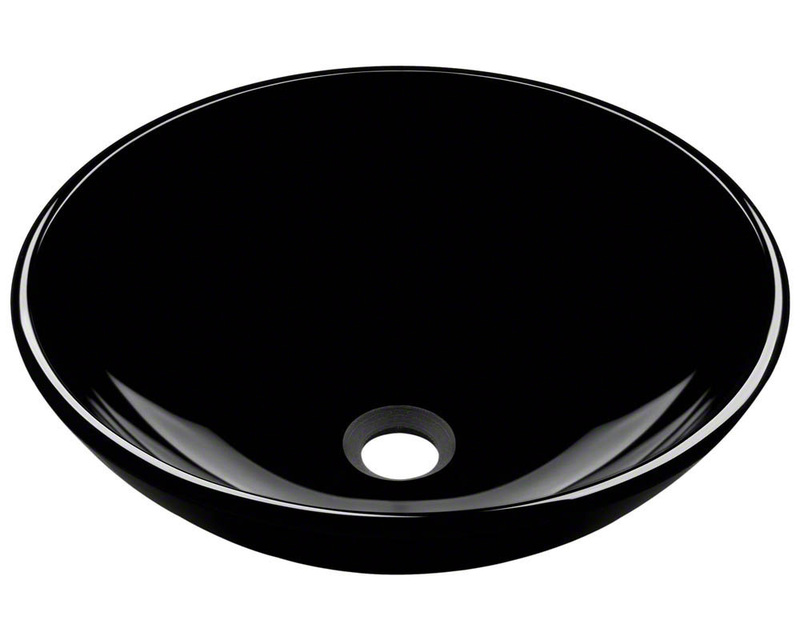 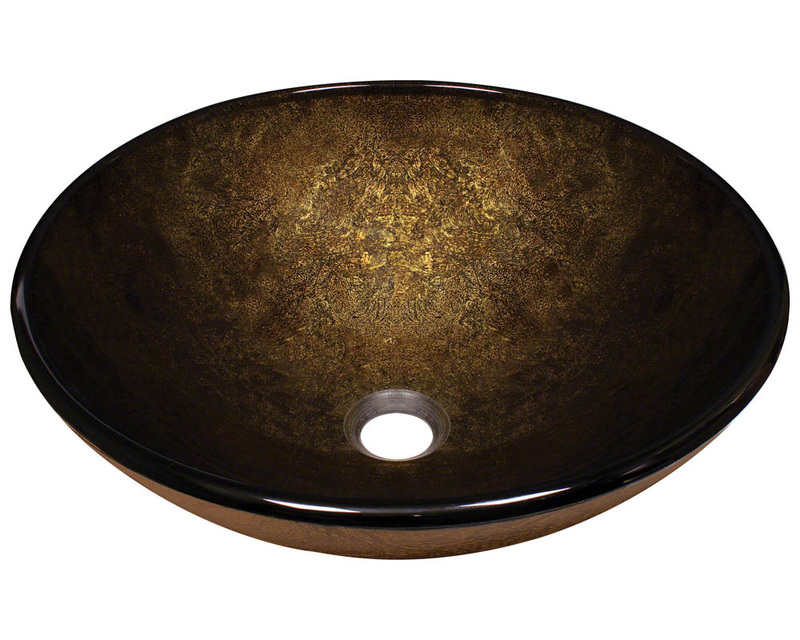 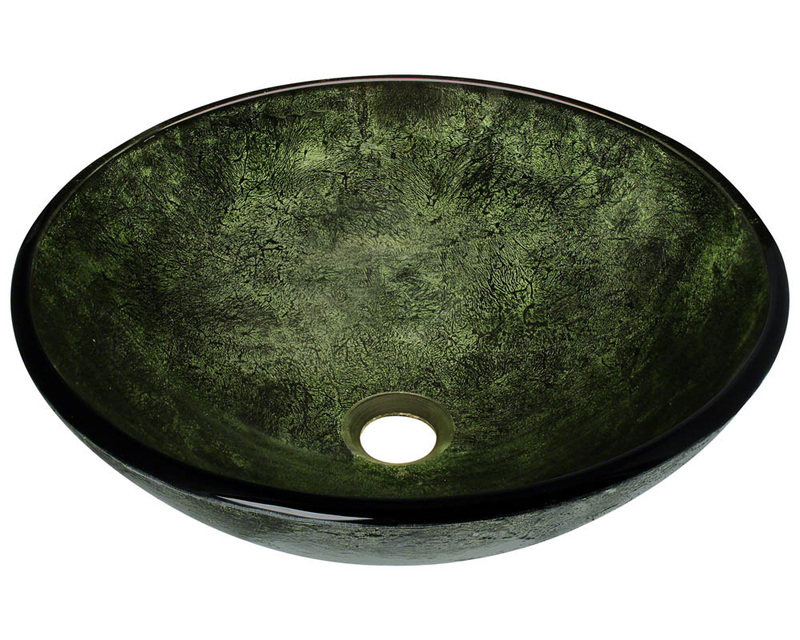 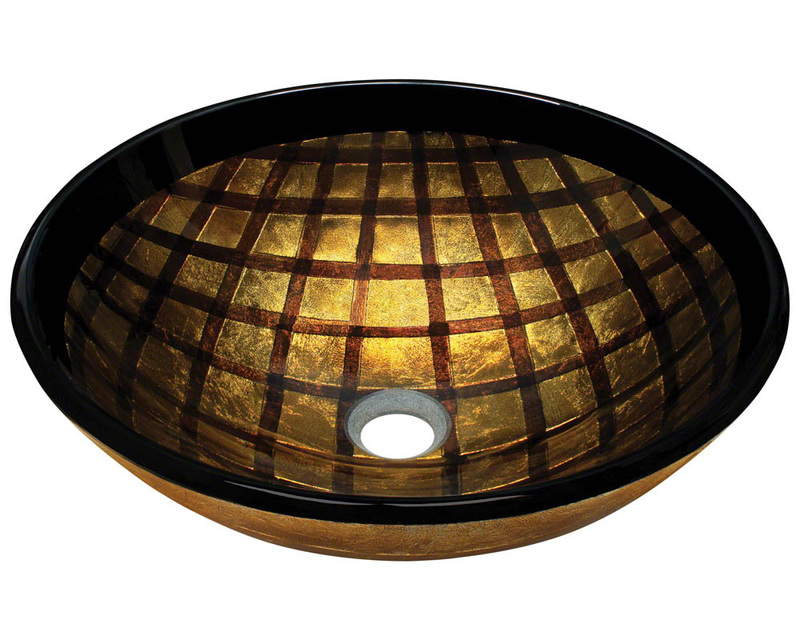 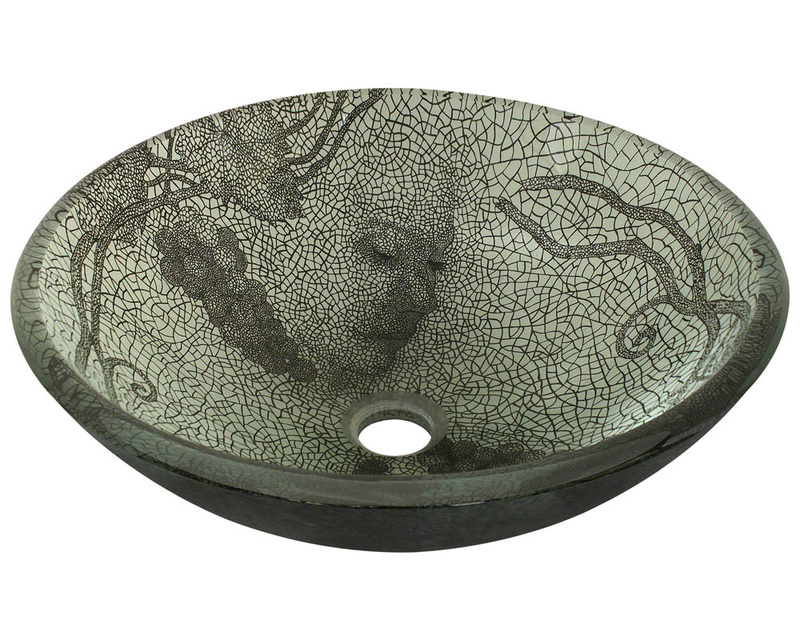 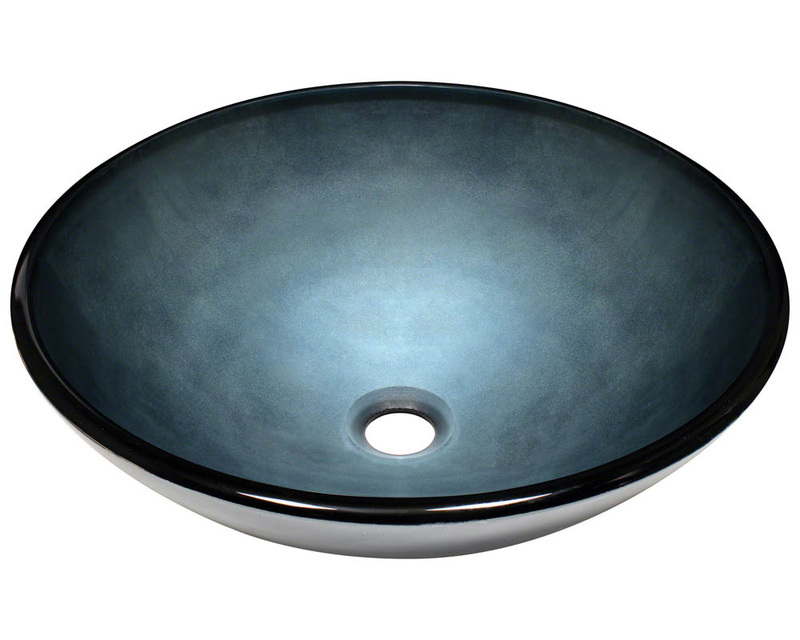 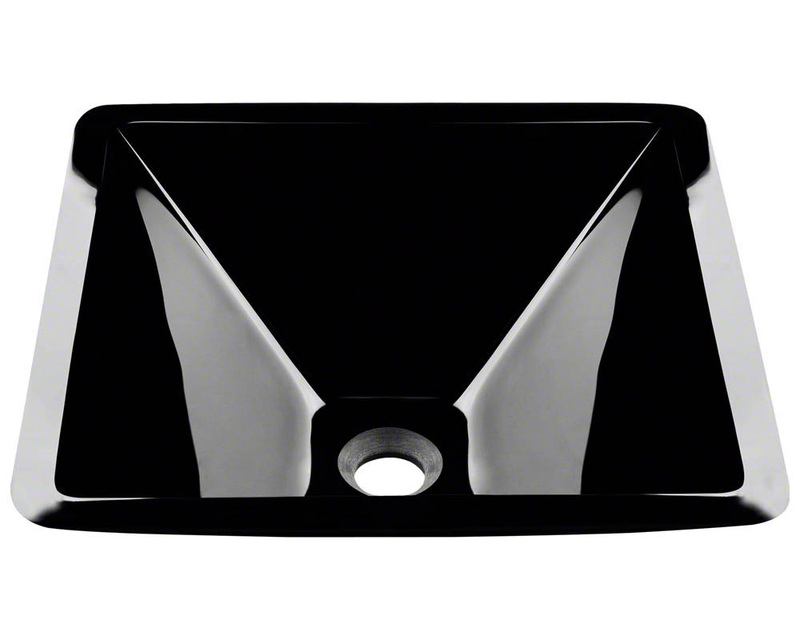 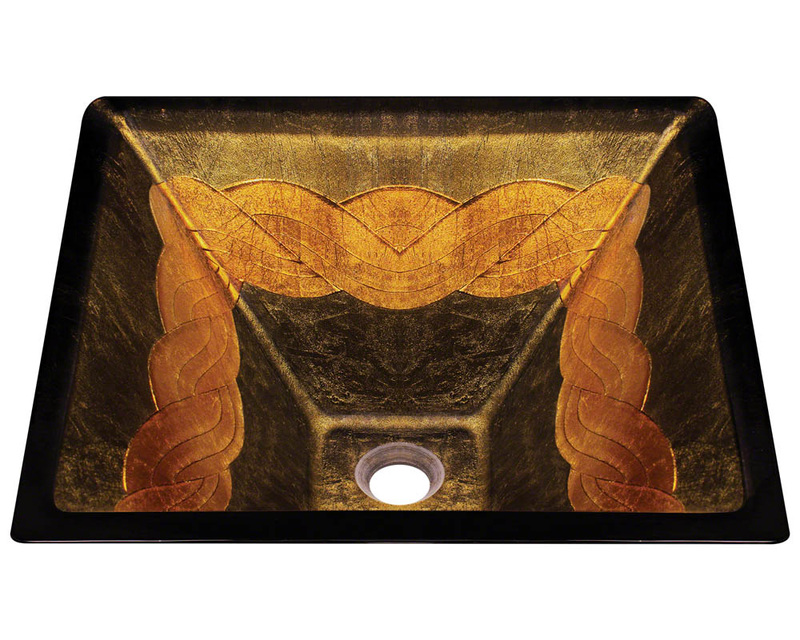 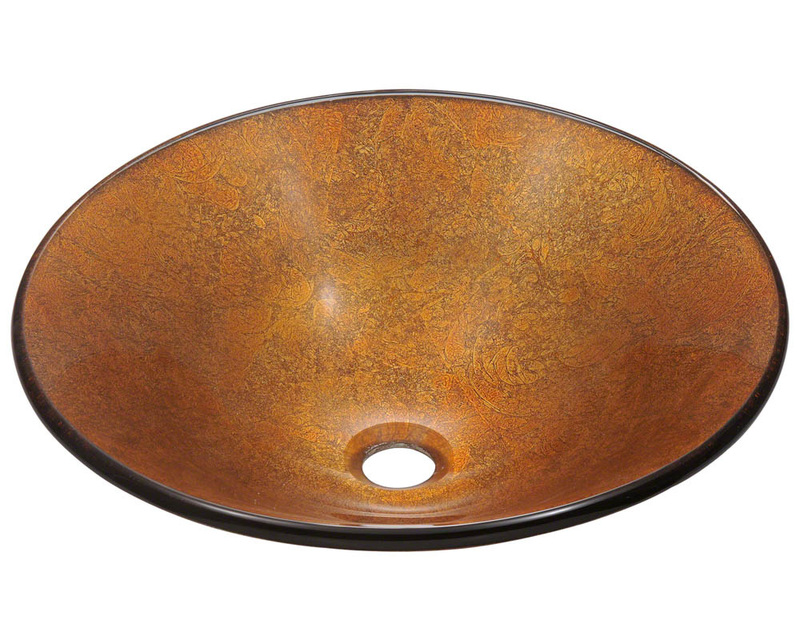 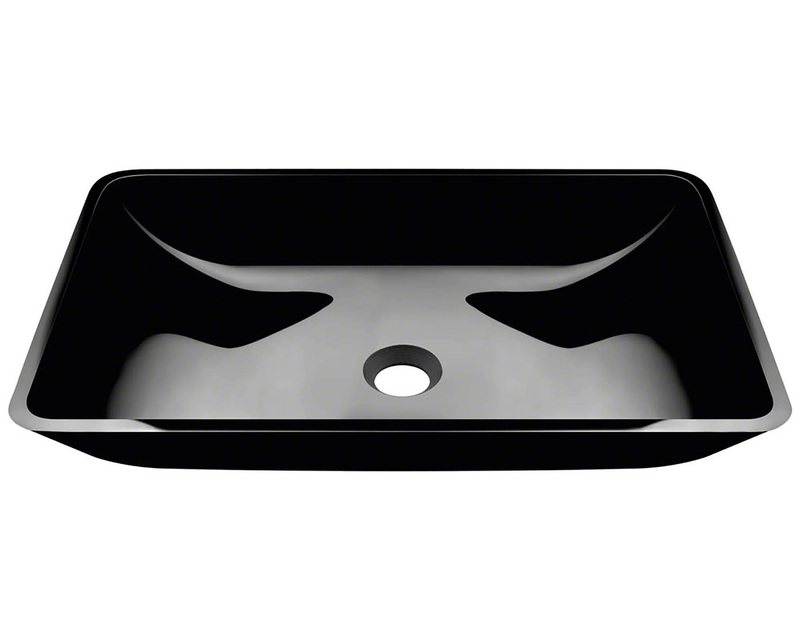 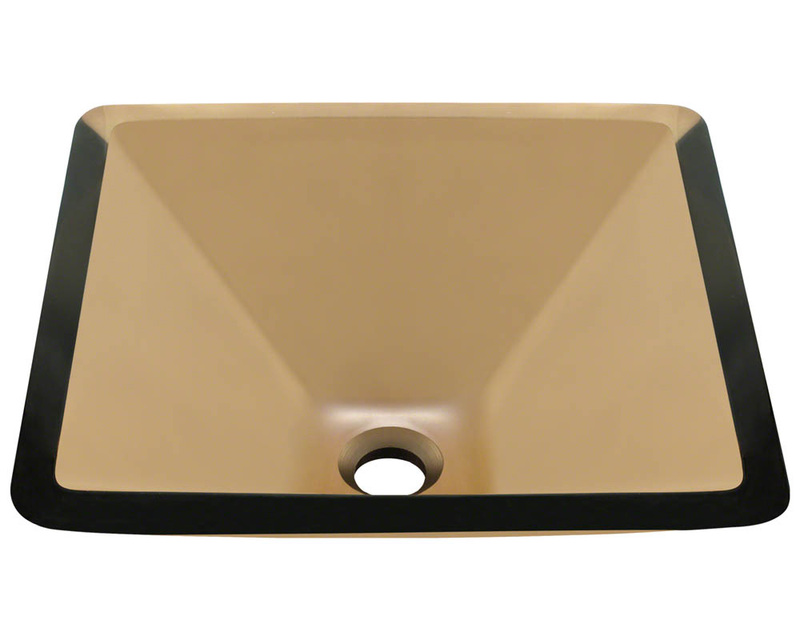 Printed - Some of our sinks have a printed film, foil or paint on the underside of the sink bowl. 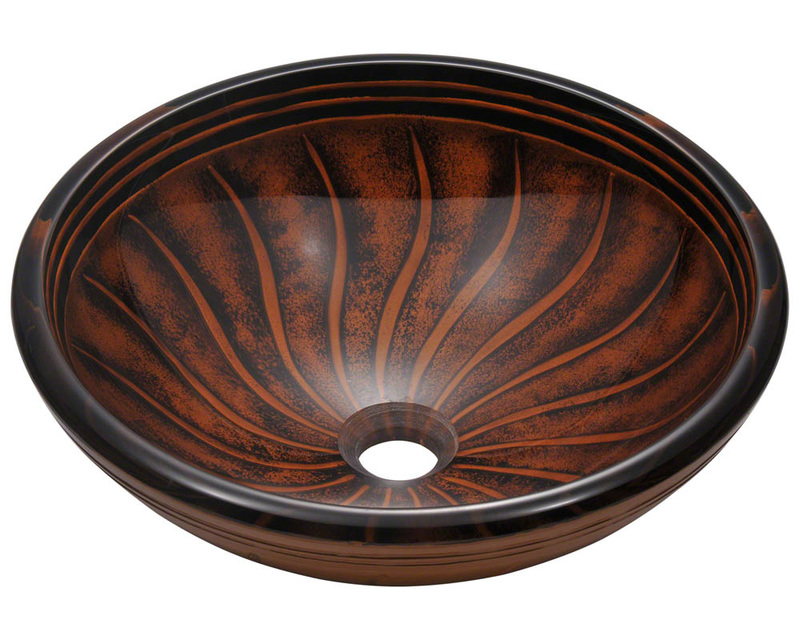 Since the glass covers the application on the inside of the bowl, take care in cleaning as to not damage the application with abrasive cleaners.